The IMF spent much of the 1970s, 80s and 90s promoting what was euphemistically called ‘structural adjustment’ in developing countries. What this boiled down to was shrinking the state – cutting public services, taxes and regulation. 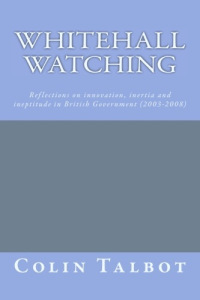 What we are seeing with Budget 2012 is a continuing “structural adjustment” of Britain. The Chancellor has taken money away from welfare recipients, pensioners and public services to transfer it to a small number of taxpayers at the top of the scale. Let’s look at Public Services, which is an area being entirely neglected in the debate. The key information is buried away in Table A.1 (see table). 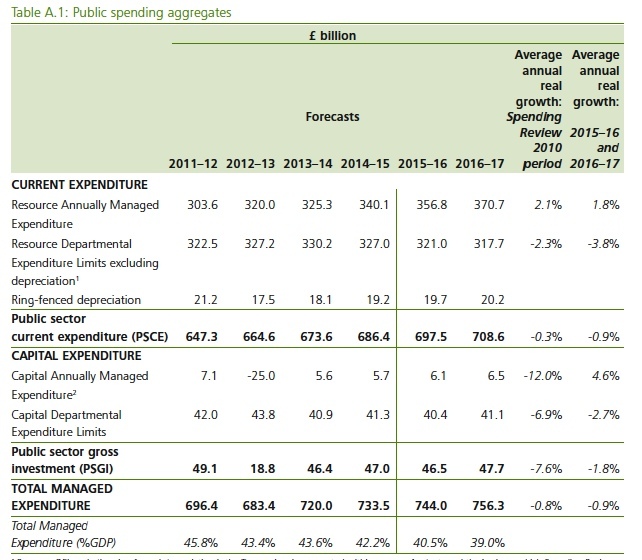 What this table shows is that the reduction in Public Spending will continue into 2015-17: “The figures above show that in the absence of policy change, DEL will continue to see significant real reductions in 2015–16 and 2016–17.” In fact, the reduction even accelerates. The result will be, by 2016-17, that Public Spending will fall to only 39% of GDP, the lowest since Gordon Brown held down public spending in the first couple of years of the New labour government. The key difference is that Gordon Brown’s intention was clearly a short-term squeeze to allow a later expansion. What the Coalition intends is not spelt out, but the direction of travel is fairly obvious from the plans – a permanent and difficult to reverse reduction in public services. Certainly many on the Tory right openly want American levels of public spending (i.e. about a 3rd of GDP) and that is the direction in which we are headed. We will find out sooner rather than later. Danny Alexander (Chief Secretary to the Treasury) has just let slip on BBC that there will be a Spending Review 2013 (altho he tried to withdraw it when he realised what he’d said). Reblogged this on Whitehall Watch.